European Union nations should decide on their own whether to use body scanners at airports, but the technology employed must be up to EU standards. “It is for each member state to decide to authorise the use of scanners in national airports. 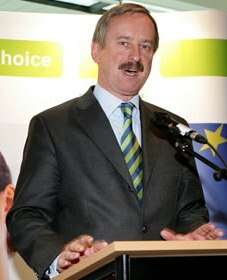 That will not change,” Transport Commissioner Siim Kallas said in a statement. The United States has lobbied the EU to introduce the scanners following last year’s Christmas Day attempt to bring down a US-bound plane, with the suspect having allegedly hidden explosives in his underwear. The flight had left from Amsterdam. Several European countries have tested the technology, including France, Britain and the Netherlands. The Italian government plans to install full body scanners throughout the country’s airports and rail stations. “Security scanners are not a panacea, but they do offer a real possibility to further reinforce passenger security,” said Kallas. A European Commission report called body scanners a reliable screening method. “In addition, it would be possible to address concerns about health and fundamental rights that have been raised, provided they are used under appropriate conditions,” it said. Some have expressed concerns over scanners, which can generate images of passengers’ entire bodies. But airline security experts say the scanners include programmes that allow images of the body to be made unrecognisable, while preventing the images from being saved or used without authorisation.